50 Centrally air-conditioned rooms with 4 star category rooms. 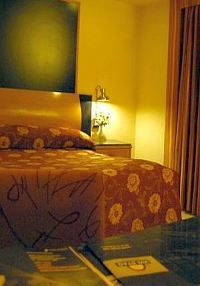 Days Inn Karachi is situated on main Shara e Faisal the business area of Karachi, it is close to the business centers as well as close to Tariq Road Shoppig area. Hotel offers several categories of rooms and suits and has facilities of a 4 star hote. 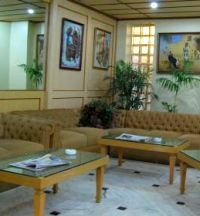 Hotel days Inn Karachi has 2 main halls and one small meeting room. Weddings and corporate events can be organised at the hotel. All Government Taxes Breakfast, Free WiFi in room and Airport pickup. 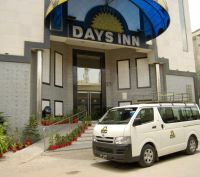 Days Inn Karachi in Karachi, offers above rates only to Hunza tours. The online reservation payment must be made to Hunza tours not the hotel. Book your events, Meetings, Conferences Marriage parties at Days Inn Karachi or any other hotel in Karachi please feel free to email us we will offer you the best possible rates and perfect arrangements to suit your events. Hunza tour offers the best rates for hotels in Pakistan.